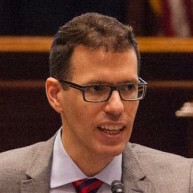 Joseph (Robinson) Cimpian, Ph.D., is an Associate Professor of Economics and Education Policy at NYU Steinhardt and affiliated Associate Professor of Public Service at NYU Wagner. He earned a M.A. in Economics and a Ph.D. in Economics of Education, both from Stanford University. Dr. Cimpian's multi-disciplinary research focuses on the use and development of novel and rigorous methods to study equity and policy, particularly concerning language minorities, women, and sexual minorities. One line of his research examines how policies - particularly, reclassification policies - can be amended to improve long-term outcomes for English learners. A second line of research examines how gender achievement gaps change developmentally and historically, and how expectations play a role in gap development. Other research aims to identify and isolate the biasing effects of mischievous responders (i.e., respondents who willfully exaggerate their responses) in research and policymaking about LGBTQ youth and beyond. Prior to joining the faculty at NYU, he was an Associate Professor and College of Education Distinguished Scholar at the University of Illinois at Urbana-Champaign. His work has been funded by the Spencer Foundation, the AERA Grants Board, the National Science Foundation, and the Institute of Education Sciences. His research has been published in some of the top journals in education, psychology, health, and policy, and has been featured by the New York Times, USA Today, and NPR.